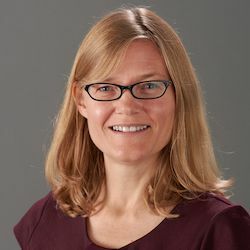 Elizabeth Odders-White is the Kuechenmeister Bascom Professor of Finance and Senior Associate Dean for Academic Programs at the Wisconsin School of Business at the University of Wisconsin–Madison. She is also an affiliate of the UW-Madison Center for Financial Security. Her long-standing interest in the development of financial capability among youth has grown to become the primary focus of her research. Odders-White holds a Ph.D. in Finance from Northwestern University, a Bachelor of Science in Applied Mathematics, and a Bachelor of Fine Arts in Vocal Performance, both from Tulane University.